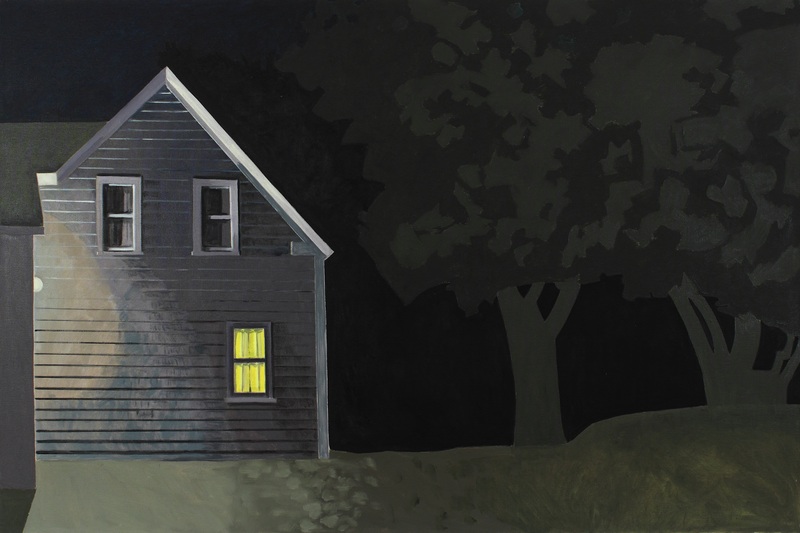 At 90, and a week after the opening of her thirteenth exhibit at the Alexander Gallery in New York, and the launch of a monograph of her work, Lois Dodd offered the following brief but direct response to my single question, one that also serves as an introduction to this portfolio of her work. Elaine Sexton: Your paintings are full of structures, literal and hand-made, as in staircases, sheds, windows, houses, clothes lines, but natural and ephemeral ones, as well, in the way you make structures of light, and of nature, as in the Allium and Queen Anne’s lace. Often you use a window, as a trope, what it looks like, what drapes it, what is seen and comes through it, from the inside and out. There’s such lyricism in these kinds of moves, would you care to comment on your thoughts how you make order of what you see in this way? 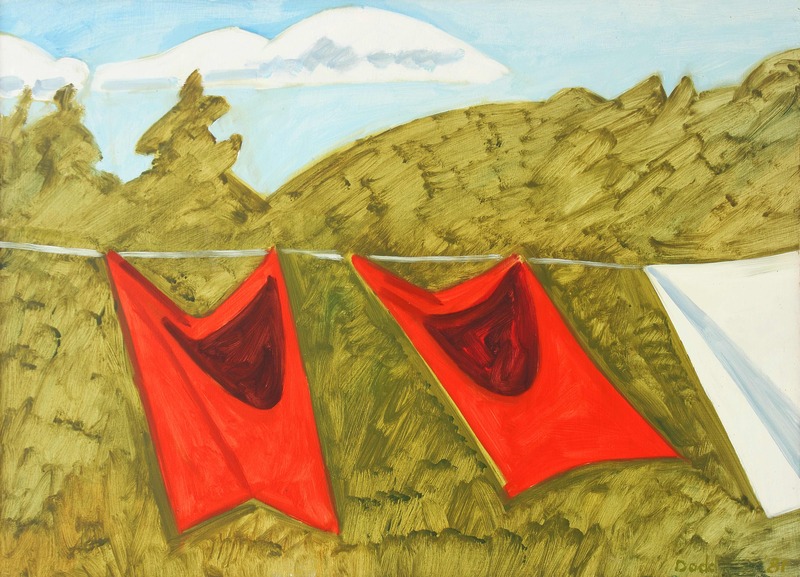 Lois Dodd: I am aware that a strong geometric structuring is inherent in bodies and plants insuring their ability to achieve verticality and balance against the pull of gravity. A window is a frame either looking out or in and often provides a ready-made composition. When working, my painting eyes try to focus on that. The big decision is what scale to transmit onto the canvas or board. Lois Dodd was born in Montclair, New Jersey in 1927. For over fifty years she has lived and worked in the New York’s Lower East Side, Mid-Coast Maine, and the Delaware Water Gaps. She studied at the Cooper Union in the last 1940s. In 1952 she was one of the five founding members of the Tanager Gallery, among the first artist-run cooperative galleries in New York. She is an elected member of the American Academy of Arts and Letters and the National Academy. Since 1980, she has served on the Board of Governors of the Skowhegan School of Painting and Sculpture. She retired from teaching at Brooklyn College in 1992. Her work has been the subject of over sixty solo exhibitions. Her thirteenth exhibit at Alexandre Gallery in New York closes January 27. The current exhibit celebrates a monograph on Dodd’s paintings written by Faye Hirsch, published as part of Lund Humphries “Contemporary Artists” series.